It Comes To You In A Plain Brown Wrapper was intended to be the name of the second Captain Beefheart album, a double album recorded late in 1967. This album never saw the light of day, which has given rise to not a little speculation and discussion among fans of Captain Beefheart. 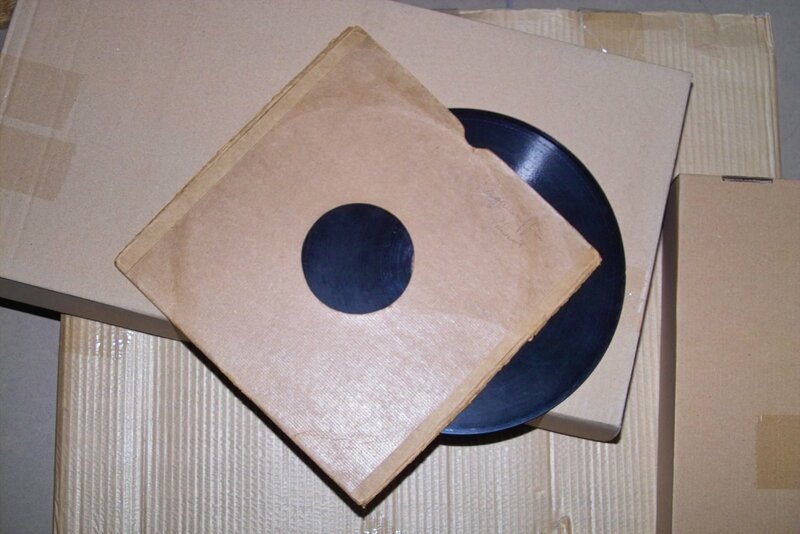 Tracks from the original sessions have been used on several re-release and compilation albums, but until now no record company has attempted to reconstruct It Comes To You In A Plain Brown Wrapper as an album in its own right. On July 22nd, Sundazed Records will do just that, when they release a Captain Beefheart double album called It Comes To You In A Plain Brown Wrapper featuring what they say is, “a wealth of unedited takes never before on vinyl”. There are thirteen tracks, including two takes of Moody Liz of which one doesn’t seem to have been released before. John French has written the sleeve notes and Cal Schenkel has designed the cover (which is presently under wraps). Sundazed Records has an enviable reputation for their catalogue of re-releases, but this seems to be the first time that they have ventured into the business of reconstructing an album which was never released. I’m sure that the finished product will be a talking point for some time to come. There is more information at Sundazed Records website. A review of this release is now available on the Radar Station. A new Beefheart release on my birthday? Best gift ever? I certainly think so. It’s my birthday too, yeah! who are you? I’m really curious what the rationale is for this release. The tracklisting seems totally arbitrary, and completely ignores the half live (in studio)/half studio approach laid out by the Buddha “Mirror Man Sessions”. I’m a vinyl enthusiast and Sundazed has a great reputation, so this release should be right up my alley, but I cannot understand why space is being given to the unfinished instrumentals and alternate takes, while Kandy Korn and Tarotplane/Quaker/Mirror Man are left off. Thank you, Cal Schenkel. Sure hope they paid you enough to exploit yr name. Due to the (seemingly) widely available tracklist, I was gonna buy it simply for your contribution alone. Well, ‘never before on vinyl’ seems to be the clue – the tracklisting looks remarkably like the Sequel CD release of some years ago, with a couple of additional tracks. Sadly this looks to be a drift into Ozit territory, with inflated claims but little that seems really new, aside from the packaging and the liner notes. And yes, the ‘…Brown Wrapper…’ concept was for a half live / half studio set, wasn’t it? So this seems some way from that idea. Nice to have Cal Schenkel contribute here, even if only to pour a little cold water on the over-heated description of his contribution, welcome though that is, to the project. That aside, a bit of a letdown, it would seem. I agree this is really just a vinyl-fetishist release…if I wasn’t interested in it for that angle alone I wouldn’t be too concerned with it. So I understand a little better, because it seems, by design, to be avoiding any overlap with the extant “Mirror Man” LP (which is widely available on reissued vinyl). So I’m a feeling a little more charitable towards this. The “lost album!” angle is a little overstated in light of the description above, but otherwise I’m willing to wait until I see and hear it to pass judgement. Certainly, Sundazed are generally top-notch in the mastering/pressing department, so I wouldn’t throw the Ozit comparison out there yet! They did an amazing thing with the recent mono reissue of the Psychedelic Sounds of 13th Floor Elevators, and personally I’m holding out hope they’ll do a properly mastered version of the mono Safe as Milk in the same vein someday. Hmmm… It’s a pity that Sundazed didn’t in the first instance use the informative description contained in the email quoted above rather than the effusive blurb on their website about this release. And to use THAT title is at best a bit cheeky, at worst misleading, and adds yet more confusion to the Beefheart canon. ‘The Brown Wrapper Sessions’ or somesuch, perhaps. I really want to like this release but find that all they’re offering is one new track- Moody Liz. I’ve listened to the samples and it seems that the remastering job hasnt revealed anything new. If they were going to make a reconstruction of “It Comes to You in a Plain Brown Wrapper”, why not try and find the unphased tapes of “Strictly Personal” and release them on top of the live cuts and Korn Ring/Moody Liz?- Hell, they could have sampled Don’s voice and edited it onto the unphased instrumental take of “On Tomorrow”. I guess this release is good if you want the bonus tracks for “Safe as Milk” on vinyl, plus some other material you may already have via the 2-lp “Mirror Man”, that being said, if I did see it in a store, I’d buy it, it’s one of those things that’s nice but nothing anyone would crave IMHO. The idea is good, but the track selection is very poor- why have multiple versions of the same track and omit songs which may only have one version? And the title. The very gall that they have, to call it “It Comes To You In A Plain Brown Wrapper” even though the album is probably not as Don intended does not sit well with me. I am ok with them leaving out Strictly Personal and Mirror Man stuff, but there are still other songs which could have been included on this instead of the extra Safe As Milk, Trust Us and Moody Liz. If the album is touting its previously unearthed version of the latter track, it should just include that version so we don’t all get confused. What’s next? The original Brown Star? Maybe with a recitation of the unrecorded title track thrown in mysteriously. I hope i’m not giving them ideas. These people seem to mean well but they are ultimately hopping on the Ozit express here. he did further sessions for newer material paid for by Buddha. wound up on the 'Strictly Personal [aka Brown Wrapper]' album. "Complete Buddha CD Bonus Cuts" for this double-LP to our listing. Thanks, MannyLunch – an interesting account. But where does the half studio / half live idea fit into this (if at all)? Or is that another myth? The sound quality isn’t as good as the old Sequel CD, and the vinyl is a bit noisy. All the hype about better tapes being used for the first time is an absolute farce. It’s really the first time they were used for *an LP*, which is irrelevant. Not only that, there is a glitch/skip during the intro of “Beatle Bones” that is not vinyl-based, “Gimme Dat Harp Boy” fades out instead of ending cold like the CD versions, and “Korn Ring Finger” has been heavily noise reduced to make it appear like a better source. You can hear phasing and sucking artifacts. The “Grow Fins” box remains the best source for that song, even with all the hiss. The artwork, liners, and alternate Moody Liz are nice, but sadly the only reason to own this LP. Too bad they didn’t pay as good attention to the sound quality as they did with the artwork. I’m starting to lose faith in Sundazed. We need more companies out there doing right by Beefheart. How about a decent CD version of “Strictly Personal”, with or without the effects?